Load ratings are for all four wheels combined. Rating includes weight of RIDGID® product and its contents. 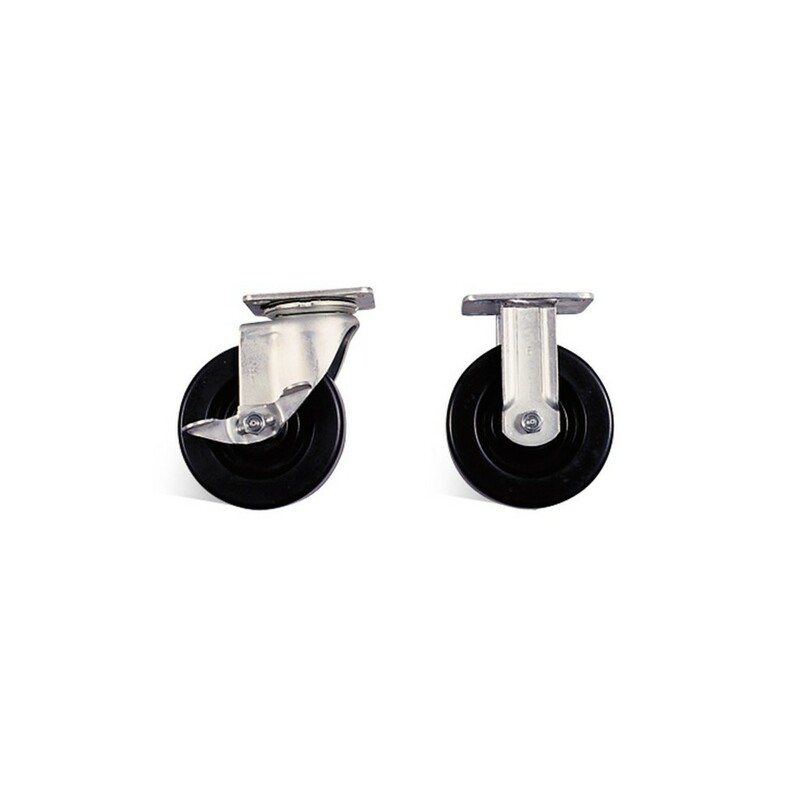 Each caster set includes two rigid and two swivel casters with mounting bolts. Caster sets with brakes have the brake unit located on the swivel casters. RIDGID casters are recommended for use with RIDGID products. Load per Set: 725 kg.